On the bike or on the shoulder, the City-Biker always looks good on a tour through town. The vertical style shoulder bag with closure flap ensures protection of A4 files and 13.3" laptops. With a reinforced base and sides the City-Biker is a sturdy and robust bag. 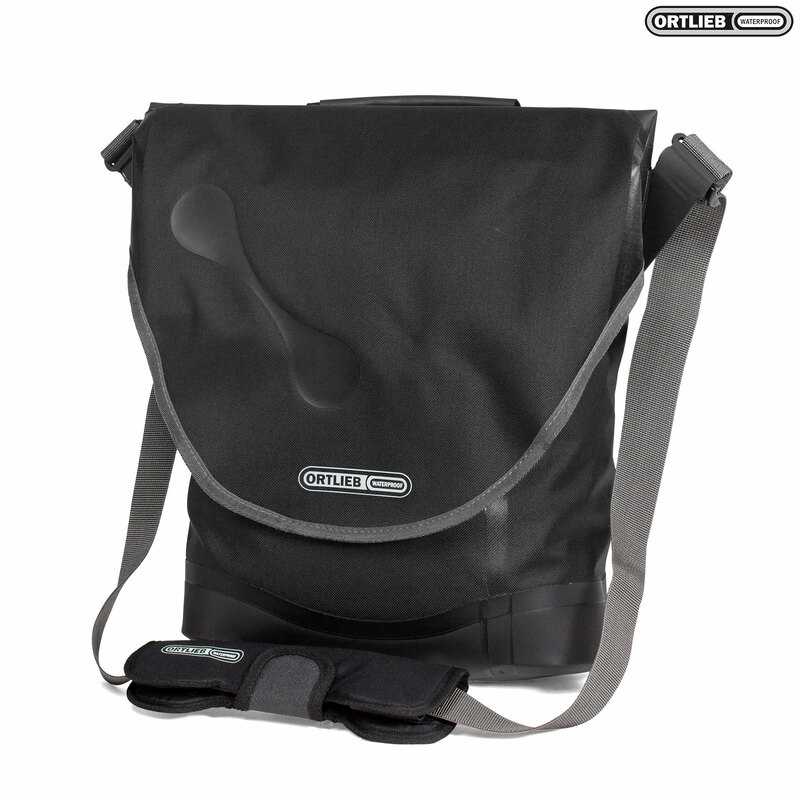 The padded shoulder strap ensures a comfortable carrying; during biking it is stowed safely on the flaps inner side. The City Biker is available with the QL3.1 or the QL2.1 rack mounting system. Like all Ortlieb bike bags, you can easily attach it to or remove it from your bike rack with a single hand. Does this item have three fixings at the back or two? I'm interested in this item in black with three QL3.1 attachments at the back. I'd rather not order and find it only has two and have to send it back - please can you confirm? These use the 3 QL3.1 mounts.